Waterfront Lot is Navigable to St Johns river and ocean!! Build your dream home and bring your BOAT !! Don't remodel an outdated floorplan, build a new energy efficient home w/ an open floorplan. 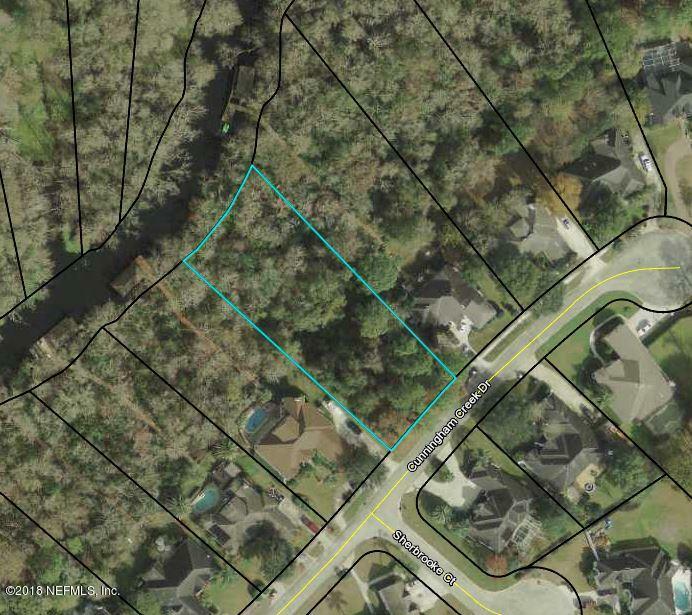 3/4 Acre lot on Cunningham Creek w/deep water access to river. Lot is over 100' wide at front, 128' wide at creek and approx. 340' deep. Please note that docks on the creek were NOT subject to destructive wave action damage like the damaged riverfront docks which was so widespread on the open waters of the St Johns River during the 2 recent hurricanes. Homes on both sides of lot were high and dry during both hurricanes. Engineered finished floor elevation for house to be built on this lot is 15.0' which was about 7' to 8' above the highest water level during Irma. Seller is an agent-owner.Located in the desirable River Oaks Plantation neighborhood which features its own amenities, including a pool, pool house, fishing dock and floating dock. Enjoy the boating lifestyle from your own dock in a real neighborhood with full utilities and nice homes. 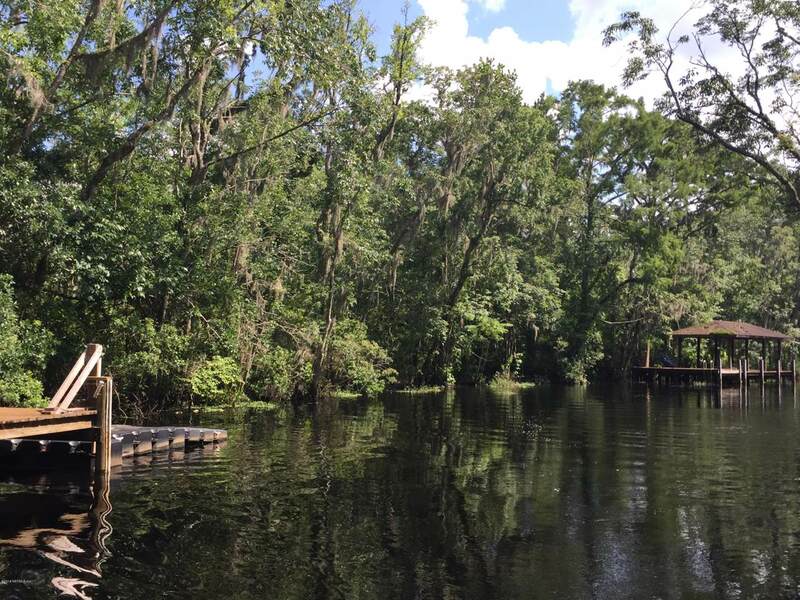 Lot is also part of the Julington Creek Plantation CDD so owners can enjoy all of the many recreational facilities offered in Julington Creek Plantation. Just minutes from the corner of Race Track Road and State Road 13 (San Jose Blvd) so shopping is convenient but you can also enjoy the small town feel of the Fruit Cove area as well as top rated St Johns county schools. Creek has good water depth and width as boats as large as 37' Sea Rays have been kept in the creek and there are at least two boats now as large as about 33'. No bridges between lot and St Johns River. Lot has JEA water, sewer and electrical available to it so no septic system or well is required. 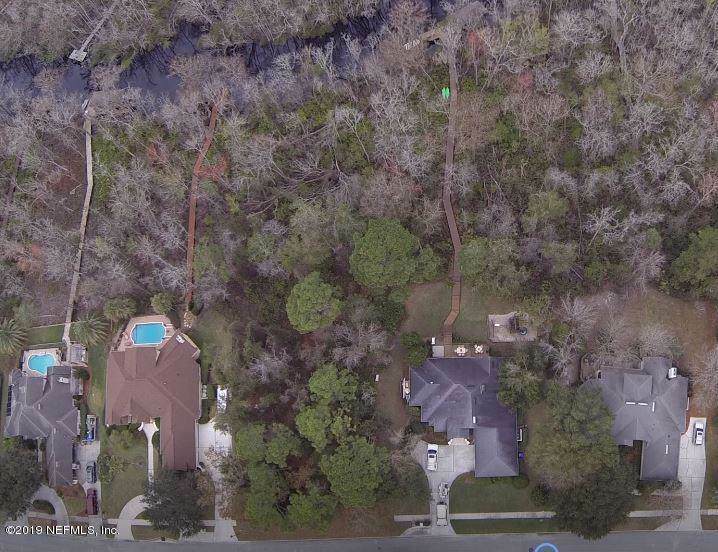 If you don't want to spend an arm and a leg for a buildable lot on deep navigable water in NW St Johns county, and you do not want your boat and/or dock investment to be demolished by the waves in the next hurricane, this is the lot for you. Boats may be covered by insurance, but docks are normally not covered by homeowner's insurance policies. This vacant lot is truly one of a kind. Listing courtesy of Marcus Allen Realty, Llc.